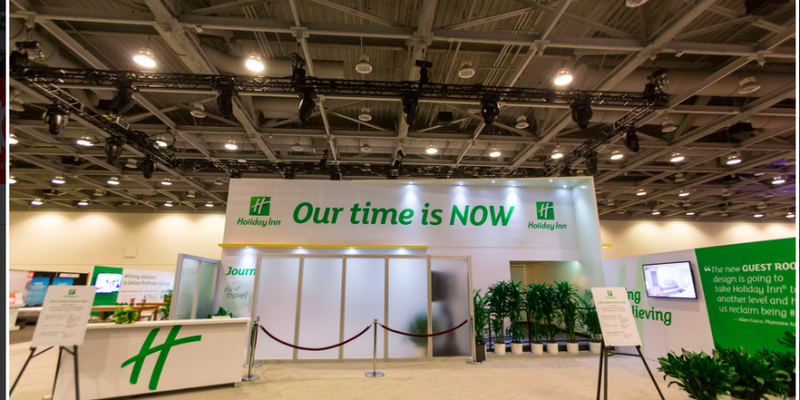 We’ve teamed up with Wits’ End Productions to design and build an exact replica of the newest Holiday Inn guest room, which was unveiled at the 2015 IHG® Owners Conference in San Francisco, CA. The annual conference is a three day event designed exclusively for Owners of Holiday Inn®, Holiday Inn Express®, Holiday Inn Resort®, Holiday Inn Club Vacations®, Staybridge Suites®, and Candlewood Suites® brands where they experience the latest brand innovations and developments. This next generation design will drive consistency and offer a contemporary design solution for new and existing Holiday Inn hotel owners.